OTTAWA—Prime Minister Justin Trudeau’s appointment of Jody Wilson-Raybould as the minister of Justice was a “historic” move that signals the relationship between the Crown and the Indigenous peoples in Canada is about to undergo an unprecedented shift, according to a prominent Indigenous lawyers. Donald Worme said as he watched Wilson-Raybould’s appointment on television in the lounge at the Fairmont Hotel in Winnipeg, he gave a high-five to Phil Fontaine, the former national chief of the Assembly of First Nations (AFN). 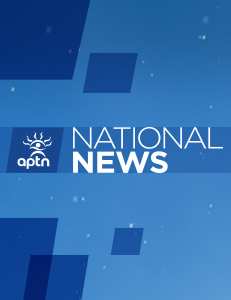 “There is no question about it, this is a historic appointment,” said Worme, a founding member of the Indigenous Bar Association of Canada from Kawacatoose First Nation in Saskatchewan. Wilson-Raybould is a member of the We Wai Kai Nation and a descendant of the Musgamagw Tsawataineuk and Laich-Kwil-Tach peoples who are part of the Kwakwaka’wakw and Kwak’wala speaking peoples. She is a former provincial Crown prosecutor and held the role of AFN regional chief for British Columbia from 2009 to 2015. Wilson-Raybould was also an adviser to the B.C. Treaty Commission. Wilson-Raybould’s name was floated early on as a possible cabinet appointment in the lead-up to Wednesday’s swearing-in, but her appointment as Justice minister remained a secret until the official ceremony. Worme said Wilson-Raybould is essentially now the federal government’s top lawyer and she will now oversee key files that directly impact Indigenous peoples. The Justice Minister plays a major role in issues like specific claims, comprehensive claims and ensuring federal laws comply with the Constitution. Wilson-Raybould will also likely play a major role in the establishment of the promised inquiry into murdered and missing Indigenous women, said Anishinaabe constitutional lawyer David Nahwegahbow. Under the Harper government, the federal Justice department has been one of the main antagonists of First Nations, spending hundreds of millions of dollars fighting Aboriginal rights in the courts. Under Wilson-Raybould, Worme said he hopes that antagonism changes. As a commission counsel during the Ipperwash judicial inquiry in Ontario which investigated the OPP shooting death of Dudley George and the lead counsel for the family of Neil Stonechild during the inquiry into the Saskatoon police’s involvement in the teen’s freezing death, Worme has seen first-hand the sometimes deadly results from the interplay between the justice system and Indigenous people. Worme said Wilson-Raybould’s appointment is like a new dawn after a long night. And could the future of the country also see a prime minister named Jody? The Justice portfolio has been seen as a stepping-stone for future prime ministers. Trudeau’s father, prime minister Pierre Trudeau was a Justice minister as was prime minister Jean Chretien. Worme recalled Wilson-Raybould’s father, Bill Wilson, once saying that his daughter would one day be prime minister. It was such a defining moment to an already wonderful day. I had no doubt in my mind that she would be put in cabinet but when it was announced that she would be the Justice Minister I burst into tears. I thought I was being silly but then they interviewed another woman outside and she was also sobbing. One of the journalists kept hammering PM Trudeau about human rights abuses in China and I thought how can we expect China to listen to us given the way we have treated our indigenous people. I think we really turned a corner here. Right on, now maybe finally I can successfully launch a lawsuit on the Depart of Indian Affairs them crooked A-holes. This appointment raises lots of hope – but remember that under previous governments, Cons & Libs, the justice department was extremely litigious against Indigenous peoples’ rights. The Canadian government should keep in mind that under the constitution (framed by the dominant society without Indigenous consultation and support) it has a fiduciary relationship with Indigenous Canadians and that it should promote their rights and the UNDRIP, not fight against them and continuing its old ways that haven’t worked.